High Pulse Poker is operating real money games now. That’s why information about Deposit at HPP is important. 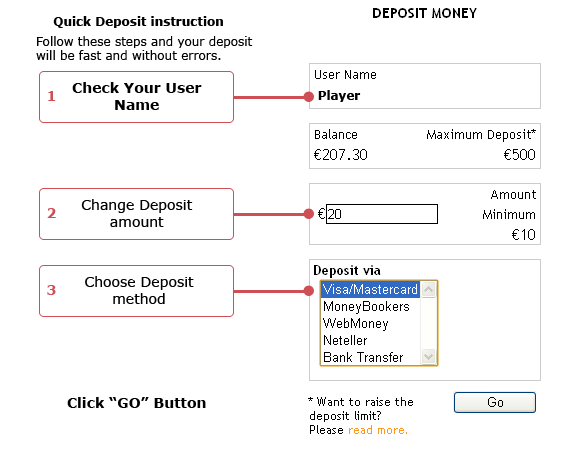 Minimum deposit amount: €10 This amount will be enough for making cash outs and other transactions. Deposits via e-wallets and cards are instant. You will not have to wait long. Bank Transfers are not so fast. Advice: use Visa or Moneybookers (Skrill) for deposits. You will be able to make cash outs faster.